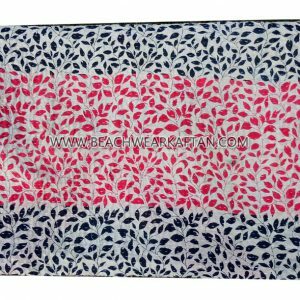 This kantha scarf is made of a silk sari fabric with bold flower design on one side; on the other is a very delicate red and pink flower design. 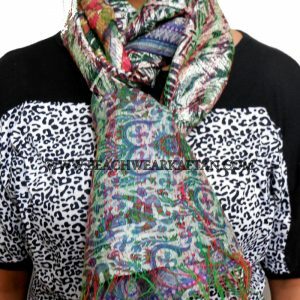 Each scarf is unique and the fabrics have been selected with care. 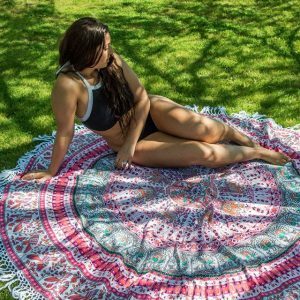 Made by a woman who has worked approximately a week on this shawl. She has embroidered her name on the scarf in Bengali. 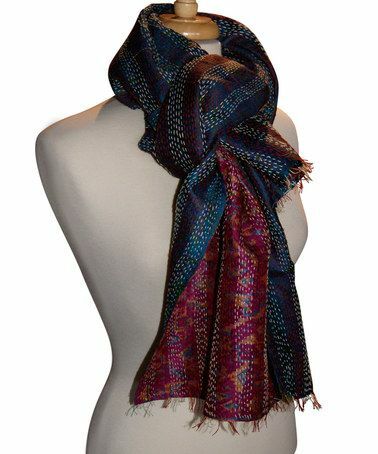 This kantha scarf is made from vintage silk saris, in the same traditional way as the blankets Tulsi sells. Two layers of sari fabric are stitched together with a running stitch. This type of Bengali embroidery is called kantha. 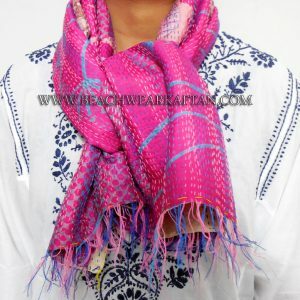 The front and back of the scarf are made from different saris, selected to give a beautiful contrast.